Five years ago, we were all concerned with the placement and frequency of keywords within on-page content. It seemed everyone had a theory on where the keywords should be placed and how many times they should be used on each page to achieve optimal results. In the past 3 years, that practice has been gradually fading out as rankings are being affected more by the quality and quantity of information within the content. Google tends to rank keyword-filled pages lower than those that use natural language and contain lots of info. The purpose of the search engine has always been to return the most natural and informative results, so it makes sense that online authors are now striving to adapt to those standards. Naturally, when you comprehensively cover a specific topic you’re inevitably going to be using a number of related keywords. For example, if you were talking about “content management systems,” you might also mention the words “WordPress” or “Joomla.” The key is to cover every area of a topic as much as possible to maximize your chances of including relevant keywords that could result in additional search traffic. There are tools that can recommend related keywords, but they should be used with discretion to prevent unnatural writing. Another way purposeful keyword usage is still effective is through the use of header, title, and blog post tags. For example, most blogging platforms (i.e. WordPress) will let you assign a tag to each post. Using these tags will make it easier for Google to categorize your pages within the search engine results pages (SERPS). The advent of HTML5 has lessened the importance of header tags, but most SEOs still use them for good measure. Title tags can help improve click-through rates by giving the user an accurate preview of what kind of content they should expect to see on the page before clicking on the search result link in Google. Overall, keywords still play an obvious role in search engine rankings because, as you know, when you search for a phrase or term, Google is still looking for exact or semi-exact matches first. For example, searching for the phrase “how to build a birdhouse” will probably return results that contain that exact phrase in the page title, so there is a fundamental, inherent benefit that keywords provide and that will likely remain true even as algorithms advance into being able to read and comprehend language via artificial intelligence. Yeah…and i also strongly believe and completely agree with you that keywords and backlinks still play a worth while and really important role in dominating search engine esp Google. 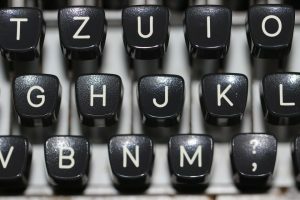 Your First Blog Post: What Should It Be About?